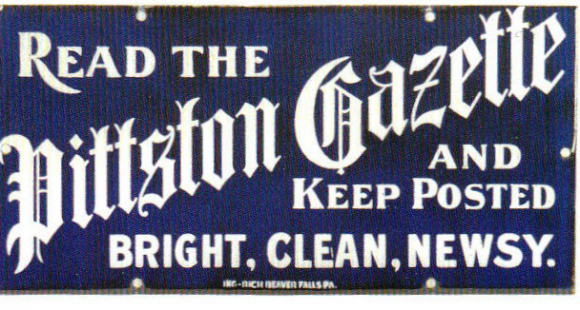 This is a rectangular Pittston Gazette porcelain sign. This particular Pittston Gazette sign is blue with white text. It reads, “Read The Pittston Gazette And Keep Posted, Bright, Clean, Newsy.”.